This episode is our second on the Italian front of 1916 and this time we are headed back to our familiar stomping grounds, the Isonzo, where the Italians will launch two more attacks against the Austrian defenders. These attacks would be slightly different than those that had come before because instead of attacking on the entire front the Italians would be more focused, and for the Sixth battle that meant that the most important goal was the capture of Gorizia. While this objective would be accomplished the results would not be in any way decisive and therefore the Seventh battle was launched shortly after it ended. The Seventh battle would be focused on trying to once again push the Austrians off of the Carso plateau. This attack will be even just as successful as all of the previous Italian attempts to capture the plateau. Before we get to the 6th battle there would be another action involving an Austrian gas attack. Boroevic had spent the first half of 1916 strengthening his defenses, especially after so many men were taken from him for the Trentino offensive. However, his command was not entirely idle and he was ordered to launch some minor attacks to try and keep the Italians from moving troops to meet the attack. One of these attacks would be a gas attack. Gas was a tricky thing to use in the Isonzo river valley due to the wind conditions which could change on a moment's notice. However, it was hoped that if the gas was used on a day with as little wind as possible the Austrians could use their higher elevation to their advantage. The goal would be to release heavier than air gas above the Italian lines and then let it float down the mountains onto the Italians. The conditions for this type of attack were available on June 29th and on that day 3,000 cylinders of chlorine and phosgene gas were released. The heavy clouds slid down the mountain and onto the Italian position, and since this was the first use of gas in the theater it caught the Italians completely by surprise. The Italian infantry did not have modern gas masked and were therefore completely unprepared. Here is Mark Thompson from his book The White War "The men keeled over, gasping, glassy-eyed, foaming at the mouth, and died clutching their stomachs. Primitive gas-masks - cotton-wool pads impregnated with alkaline solution, and separate goggles - had been distributed not long before, but many soldiers thought the precaution was needless; their masks were soon lost or damaged." This attack would cost the Austrians just 1,500 men to inflict 7,000 casualties on the Italians. However, it was not something that they would easily be able to reproduce in the future and that makes it much like the German attack at 2nd Ypres. They had used gas to gain an advantage for an attack without any real goals, and because of that they were unable to push the attack forward when it was more successful than they thought it would be. Now the Italians would be more prepared for a similar attack in the future. While the Austrians had spent the winter bolstering their defenses the Italians had also not been idle. A great example of this was the work done by the 4th division on Mt. Sabotino. They had created a much denser set of trenches with tunnels and caverns as well. They did this by working at night and due to the secrecy they were able to move the lines very close together. Close enough that the Austrians would have very little warning. These type of small scale preparations were combined with strategic moves by Cadorna and over the course of July he moved thousands of troops back from the Trentino front. This represented most of the troops that had been taken from the Isonzo to meet the Austrian attack, now back and in position to launch the Italian effort. These troops were also much better armed than the Italian troops of previous years. They had many more machine guns, trench mortars, and most importantly heavy artillery. Cadorna was ready to use these men for another attack, however, after so many previous failures he was altering his approach and adjusting his expectations. Instead of trying to attack on the entire front and punch through over that massive width, with the goal of beginning an Austrian collapse that would only end in Vienna he was instead aiming only to capture Gorizia. This meant that they would also have to capture Mt. Sabotino, Oslavia, and Podgora all of which had been the site of previous fighting however all of the Italian strength would be focused just on these objectives or the area immediately around them. This was most important in Artillery. The attack would be under the command of General Capello with Colonel Badoglio creating the detailed plans. In our continuing mission to call out those that we meet who will play a role in World War 2, Badoglio would become the head of the Italian Army during world War 2. He would reorganize the artillery so that communication was better between the artillery and infantry. Badoglio would also make sure that fresh regiments were right behind the initial attack troops to try and keep the attacks going, and also to make sure that the ever present Austrian counter attacks did not constantly push the Italian off of their gains. Finally, there was a mobile response team of 18 cavalry squadrons and four bicycle battalions that could quickly move wherever they were needed. On the Austrian side, with so many of his best troops moved away from his command Boroevic was in a tough spot. He would only have about 18,000 troops in front of Gorizia and this meant that in some specific sectors of this front the Austrians were outnumbered up to 12 to 1, a simply staggering advantage. Boroevic had also misread the situation and belived that the Italian attack would fall further south. This had been caused by an Italian diversionary attack in early May on the southern Carso. Because of this misestimation Boroevic had sent a considerable portion of his reserves to the southern end of the front to guard the direct route to Trieste. When the attack would begin these troops would take at least a few days to return. The bombardment would begin on August 6th and it would involve 900 guns. They would put a greater level of focus on specific battlefield features like the Austrian trenches, machine gun nests, and artillery positions instead of spreading their fire out over a large area. A good portion of the fire would fall on the 58th Damatian division in its positions in front of Gorizia. The bombardment would go on for four hours before the Italian infantry went forward, and when they did there was little that the Austrian artillery would be able to do to answer. What artillery the Austrians had available, and there were never enough, were low on ammunition reserves, and even if they would have had more ammunition they would not have been able to figure out where to fire. The Austrian lines were covered in smoke, communications were wrecked, and the forward observation posts had mostly been destroyed. 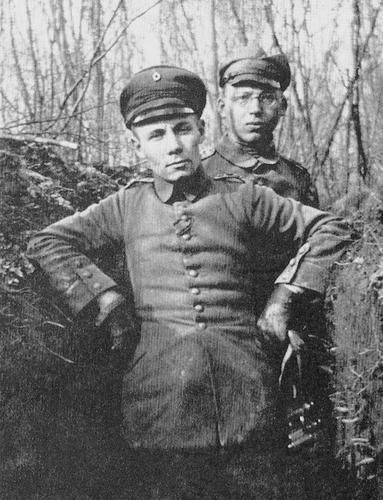 This meant that the Austrian officers and artillery had no idea what was happening in the forward trenches or when to fire at specific locations. At 4PM the first waves of attacks began on Mt. Sabotino. 200 guns had been focused on the summit, where just one battalion of Austrians were in their defensive positions. The defenders had been mostly killed, their machine gun posts destroyed, and their dugouts caved in. While this destruction was bad enough, the Italians infantry were also properly coordinating with their artillery. In previous battles there had often been long paused between the artillery fire and the infantry attacking which gave the often outnumbered Austrian defenders time to man their positions and prepare. However, in this case there was almost no delay and as a result the summit was captured in just 38 minutes. Once the summit was captured fresh units were brought in to dig in and defend their gains. This meant that even if the Austrians could have launched a counter attack it probably would not have been successful. Once the defensive considerations were taken care of more troops were sent forward to hit the Austrians just as they were trying to organized one of those counter-attacks. To the south of Sabotino the Italians were once again attacking Podgora and Oslavia, and they were proving to be just as difficult to capture as they were in previous attempts. However, with other Austrian positions falling both on Sabotino to the north and on San Michele to the south the Austrian troops soon found themselves in an untenable position with mounting pressure from in front and no support from the flanks. Eventually they would be overwhelmed, and once they were the Italians along the front found their way to the Isonzo almost clear of opposition. Conversations would soon begin in Austrian command about what to do about their troops on the West side of the river. Before we discuss that though, lets talk about what was happening on the southern end of the front around Mt. San Michele. Mt. San Michele had not seen a major attack since the 4th Battle, however since the very start of the war it had been a constant bastion of Austrian strength. This would be the southernmost objective of this attack and it would have 500 guns dedicated to destroying the defending positions on the slopes and summit. Here the bombardment would go on for almost 9 hours before the attack went forward at 4PM. Much like on Sabotino, here the artillery and infantry coordination was much better than in previous attempts and it would take just 2 hours for the Italians to capture the summit. This is an almost anti-climactic end to the story of Mt. San Michele, an area of the front that we have spent so long discussing. The Italians had lost ta least 110,000 men over the course of 14 months to try and capture this one mountain, and now they had done it. Later that night the Austrians would try to launch a counter attack, however this attack was launched by exhausted and outnumbered Hungarians who never really had a change. What reinforcements Boroevic did have were sent to Sabotino and there was nothing left for San Michele. In less than a day the Austrian positions all along the central front and to the west of Gorizia had been critically compromised. Sabotino had been critical for this area of the front and with it now in Italian hands 15 kilometers of the front began to fall apart. The Austrian artillery was nearly out of ammunition and after the failure of the first set of counter attacks there were almost no local reserves that Boroevic could call upon to launch any more. All along the Isonzo front the sectors had already been mined for reinforcements and now they were being defended by what were essentially skeleton crews. Austrian high command did send 6 battalions of Ukrainians and Romanians, and a message that any voluntary withdrawal was strictly out of the question. These troops would be sent to the north of Sabotino to try and launch an attack to recapture the critical summit. The attack was launched in darkness and it was a desperate move right from the start. The troops were both outnumbered and heavily outgunned, the attack was a complete failure. Shortly after midnight the commander of the 58th Division, General Zeidler, would inform Boroevic that the sitaution was untenable and he would have to fall back across the river. This was order, and as many units as possible were moved over the river in the darkness. Only about 5,000 would make it across, of the 18,000 that had started the battle. The initial planw as to then try and hold the line at the river, but even this proved to be impossible. Zeidler and Boroevic both believed that they had to pull back to a defensive line 2 miles from the river, but this would mean giving up Gorizia to the Italians, which they were strictly forbidden to do. However, during the morning a battalion of Italian troops waded across the river and by the end of the day there was a major bridgehead across the river. With this bridgehead the Austrians were forced back to their defensive line, saving Boroevic from having to make a decision. Simply too much had been asked of the 58th Division, so many times they had been able to stop the Italians against massive odds, so many desperate counter attacks had been successful, but this time it just did not work out. Because of this failure Gorizia was not in Italian hands. With Gorizia captured there were other adjustments that had to be made. There was now no point in launching any further attacks on San Michele since even if they were successful the troops could easily be cut off. Boroevic ordered that artillery and then infantry be transferred to the eastern side of San Michele on the 9th. The Italian infantry did not initially know that they were retreating which meant that by the time they realized what was happening there was nothing but empty space in front of them, the Austrians were already safely in their next set of defensive positions. While the Austrians handled their withdrawals extremely well during this battle, we also have to discuss the Italian response. When the Italians pushed over the river Capello alerted his commander, the Duke of Aosta, and he notified Cadorna that it would be possible to continue chasing the Austrians all the way to the next defensive line. While this part of the plan was completed when it came time to execute the next phase of the attack, this would have been the moment of launching another attack directly against the shattered Austrian troops, who had lost two thirds of their number, but instead Cadorna altered his plans. He moved strength to the flanks in preparation for attacks on the flanks of the initial advance. The defenses found on these flanks were less effected by the earlier bombardments, and on August 12th when the attacks were launched they were almost complete failures. These attacks had taken 3 days to organize, plan, and launch and those 3 days were critical for the Austrians since every day of delay allowed more troops to be brought in and the defenses that they were not in to be improved. With the failures on the 12th Cadorna had no choice but to halt all attacks on August 17th. Over the course of the battle the Austrians had lost 50,000 men, the Italians close to 100,000. While these losses were severe on both sides, for perhaps the first time on the Isonzo there were actually gains and losses measured not in feet or meters but in kilometers. On the 24 kilometer front the Austrians had been driven back between 4 and 6 kilometers. Cadorna was able to claim that this was a great victory, they had after all captured Gorizia. However, looking back it is obvious that the move to attack on the flanks gave the Austrians 3 critical days to recover from the initial assault, if they were not given this the Italians may have been able to push them much further back East of Gorizia. As the situation was the line had moved, which was a tactical victory, but the strategic situation remained the same, and this would cause yet another attack just a few months later. Cadorna knew as soon as the line settled down after the 6th battle that the strategic situation had not been altered. Therefore he began to look at where his next attack should fall. By mid-1916 the Italian war industry was kicking into high gear, meaning that Cadorna was able to rebuild and restock his forces much quicker than the previous year. He was use this ability to target the beginning of September for his next effort which would focus on the Carso. The goal was to take the Austrian positions on the plateau which would then open the way to Trieste for a future attack. There would also be an attack on Mt. Rombon in the north. This first week of September would bring heavy rain, which would delay the start of the attack until the second week of the month, however even with the delay the goals for the attack remained unchanged. While the Italian situation had gotten better, this was matched on the Austrian side. Before the 6th battle the constant successful defenses had lured Vienna into complacency that they then paid for with the loss of Gorizia. After the battle things began to change. Conrad was now forced to listen to Boroevic's constant appeals for reinforcements and before the 7th battle substantial reinforcements of both artillery and infantry would arrive. There would also be 40,000 men, including 20,000 Russian prisoners of war, which were detailed strictly to construction work. This allowed the Austrian positions to be improved to a point that was not previously seen. Trenches and redoubts were deeper, machine gun posts were strong, and barbed wire was massed in unheard of quantities. These defenses would be present on the Carso along with munitions and supply depots that were built into the rocks with concrete and steel to reinforce them. The Italians did not have any good information that this was happening and when they would attack they found that their Austrian enemy was in a far better position both in terms of their defenses and the number of men manning them then they thought possible. Even though the weather would delay the start of the attack Cadorna did not postpone the start of the artillery fire. However, with the bad weather made accurate observation almost impossible. So for a week the artillery fired, but they did so blind and that was just about worthless at this stage in the war. When the skies cleared after 3 days the Italians could finally see what they were shooting at and the heavy batteries began to reduce the front lines of the Austrians to rubble. However, the Austrians were shifting their tactics and had positioned only a few men in the front lines which meant that their losses were light. Instead, the bulk of the defenders were safe in their fortifications behind the front, waiting for the attack to start so that they could counter it. The attack would begin in the early afternoon of September 14th. The Italian infantry left their trenches and began to move forward. There were 100,000 men on a front of just 8 kilometers, a much greater density than previous attacks. Throughout all the previous week of artillery fire the Austrian guns had remained silent, until the moment of the attack. As the Italians moved out of their trenches the Austrian gunners began their work. The Italians were moving forward in densely packed formations, wave after wave of them, and it turned into a shooting gallery. One Austrian artillery officer would say that it "looked like an attempt at mass suicide." The Italians continued to move forward, but their numbers dwindled away, those who made it to the enemy front line found them mostly deserted and only shattered trenches, filled with tear gas to occupy, covered by machine gun fire from Austrian defenses further back. However, the majority of the attackers never even reached the Austrian positions and instead were cut off in between the lines. The few that did manage to reach the Austrian lines would only be able to hold onto their gains for a brief time as counter attacks quickly descended upon them to push them back. Even though the defense would be successful, it would cost Boroevic a lot of troops, which was at least some consolation for the Italians. Cadorna would call off the attack on the Carso on the 17th, without any durable gains having been made. To the north the attack on Mt. Rombon would begin on September 16th. Here the Austrians were full prepared for the attack and instead of defending the front lines the Austrian commanders pulled their men back to a secondary position to dodge the Italian artillery and then also allowed their own artillery to fire very close to the front trenches. As the Italians tried to push forward they were under a crippling fire from the infantry that had positioned themselves further up the mountain and outside of the Italian artillery barrage. The counter attack then drove the Italians back, what was left of them. Looking back on the 6th and 7th battles is interesting because it shows clearly the move and counter move that typified the First World War and what made the challenge of meaningful offensive gains such a difficult nut to crack. In the 6th battle the Italians found that if they concentrated their forces they could achieve true progress, but then this same strategy did not work during the 7th battle. On the Austrian side the 6th battle taught them an important lesson, the Italians were not idiots and they would not just keep doing the same thing over and over again, which meant that the Austrians needed to take the defenses on the Isonzo seriously again. They rectified this problem with the 7th battle, which swung the pendulum back in their favor. I hope you will tune in next episode as we discuss the 8th battle, and then dive deep into the topic of Morale and Discipline in the Italian army during the war.